V.Group, a global marine support services provider, opened its state-of-the-art new home in Mumbai in a ceremony earlier this week. Colleagues from across the Group were joined by CEO, Ian El-Mokadem, and a number of distinguished guests, to open the new building in Windsor Corporate Park, Oshiwara. The new facility brings together V.Group’s six service lines and the full breadth and depth of the Group’s expertise in Mumbai into one location, and reflects V.Group’s strategic investment in recruiting and retaining the best talent in the industry. The environment has been designed to provide working spaces that demonstrate the company’s values, particularly care for both shore-based and sea-faring colleagues, and collaboration, whilst ensuring consistently high safety and quality standards. In line with V.Group’s strategy, the facility reflects a significant commitment to innovation and the integration of new technology, underpinned by ShipSure 2.0, V.Group’s digital platform, which enables seamless digital collaboration and information sharing between departments. The facility has also been designed to enable Project Embark, a program that seeks to transform V.Group’s approach to crewing for its pool of more than 44,000 seafarers, with dedicated seafarer lounges that create a relaxed and collaborative environment where crew can interact with shore-based colleagues. The building includes a Fleet Cell of the Future, an upgraded version of the core unit of vessel management that serves as a test bed and proving ground for new technologies. In addition, the facility houses V.Group’s global Business Solutions Center encompassing both entity and vessel accounting activities. 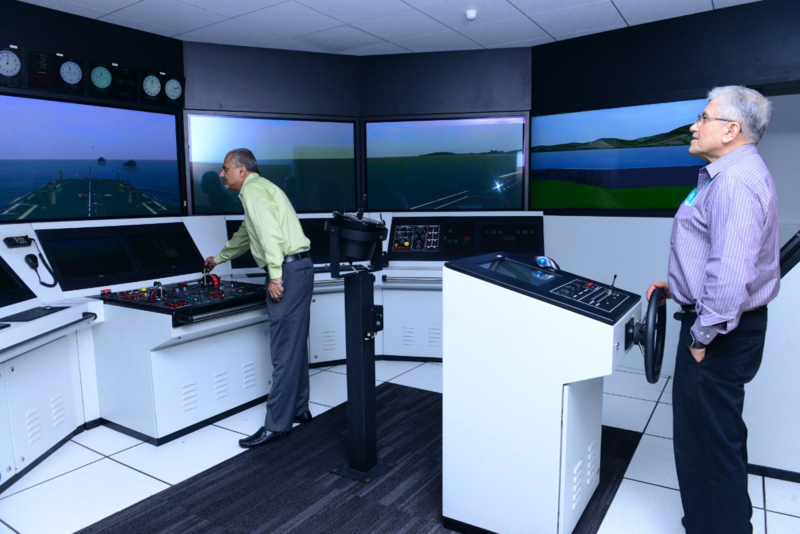 Currently home to 500 colleagues, the facility features fully customizable bridge and engine room simulators, allowing seafarers to train for a wide range of realistic scenarios at sea. This is augmented by brand-new video conferencing technology and training facilities, fostering hands-on learning and knowledge sharing.